The Battle for Jerusalem was been waged for many years. In October 2014, the acting Palestinian Authority President Abbas took umbrage at Jews moving into homes they purchased in Silwan- an area that was originally settled by Jews. Abbas called for hard labor and life imprisonment (or death) for any Arab that sold land to a Jew. There was no reaction from the world to Abbas’s racist edict. The October comments from Abbas continued with a call to prohibit any Jew from praying on the Temple Mount. He then insisted that no Jews should be allowed to live anywhere east of the 1949 Armistice lines, including in heavily populated Jewish neighborhoods of Jerusalem. The stated rationale for the comments to try to mask the anti-Semitism was that such moves “threaten a two state solution”. That is absurd. A two state solution can exist very easily- it just would not have a new Palestine with everything that Abbas would like. Specifically, Jerusalem. The Israelis have already split the “Holy Basin” proposed in the 1947 UN Partition Plan by giving the Palestinians Bethlehem. The other half of the basin, Jerusalem, would remain Israeli. Keeping Jerusalem as the united capital of Israel in no way threatens the viability of a new Palestinian State. The word “extremist” appears like a loaded word. That partially stems from the fact that it conveys two different meanings. The first is that it describes a person who has an extreme position. The second is that it portrays a person at the edges of society. A person who holds a position at the far fringe of society is pretty straightforward. If someone believes that the moon is purple and 99.9% of the rest of society does not, that person could be called an extremist. The label could be viewed as appropriate simply because the opinion is not popularly held. The pervasiveness of a position, as opposed to its popularity, is a more subjective criterion. Someone believing that the moon is purple is one thing. However, painting their entire house purple, dying their hair purple and changing their name to Professor Purple Plum, would be viewed as “eccentric” and “obsessive” at a minimum, and possibly even “extreme”. The “extremist” label sticks best when the person’s actions impact other people. For example, an individual may believe that life starts at conception, but if that is simply a personally held viewpoint, most people would not describe that person as an extremist. However, if a person used that position to justify destroying abortion clinics and harming the people inside, the violent actions would lead people to use the “extremist” label. Violent extremists are typically painted in two camps: “right-wing” extremists use power to protect religion and capitalism; “left-wing” extremists use violence to flatten social hierarchies, and are often viewed as anti-religion and anti-capitalism. By the measure of popularity, all Jews could be viewed as “extremists” because they have a belief system that is not held by 99% of the world. However, as Jews do not enforce their belief system on others, the “extremist” label would largely be considered inappropriate. Conversely, Islam is a very popular religion, but the various Muslim groups that seek to enforce sharia law and forced conversion of people are often called “extremists”, especially if people that refuse to succumb to their religious edicts are killed. Popularity is not considered the gauge; it is violent actions and/or actions that harm others that define extremists. Using such distinction between popularity and power, review how mainstream media uses the extreme label in regard to Israel. Mr. Shaloudy, the Arab man who killed two people, is described as a “resident of Silwan, a predominantly Palestinian neighborhood”. This description made him sound like a peaceful neighbor living among his people. He is tied to the majority and therefore, by implication, not an extremist if one were to use the popularity measure. The paragraph continued that the neighborhood is in “territory that Israel captured…that has not been recognized internationally… right wing settlers…acquired property in the area.” The New York Times painted the Jews as “right wing” extremists. On what basis? That they moved into a “predominantly Palestinian neighborhood”? That they moved into houses that “has not been recognized internationally” to be part of Israel? That just made those Jews a minority in the neighborhood, and Israel’s claim on the territory a minority-held position. However, the actions taken by this group were peaceful: they purchased apartments; and moved into them legally. They harmed no one. As such, they took no actions that warrant being called “right wing”. However, the Arab “residents” that the Times described, sought to kill Arabs that sell homes to any Jews, in accordance with Palestinian law. This particular Arab “resident” murdered innocent Israelis. Yet, for some reason, these Palestinians that have laws calling for murdering Jews, who do ultimately commit murder, are not labeled extremists. This is both a perversion and inversion of reality where violent actions are considered the appropriate norm and unpopular positions are considered extreme. 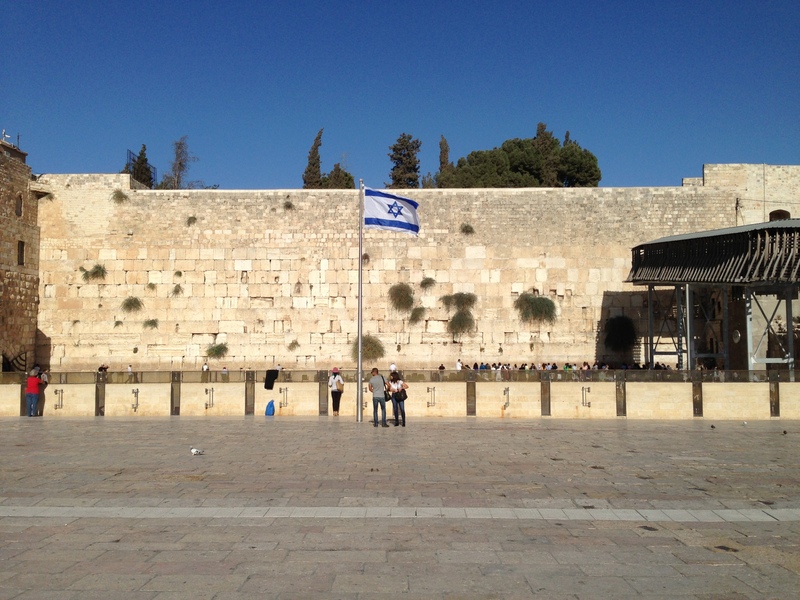 by hard-right Israelis who have been increasingly demanding the right to pray there. The juxtaposition of the sentences was unfair- the Jews had no interest of praying in the mosque, but were seeking to pray nearby on the holiest spot for Judaism. 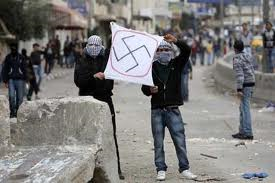 Were these “hard-right Israelis” seeking to hurt anyone? Were they seeking to destroy a mosque or convert anyone? Not at all. So how can their action be considered extreme? It is true that Jews are a minority in the world. It is true that Israel is surrounded by dozens of Arab and Muslims states that either refuse to recognize Israel or call for its outright destruction. But simply being unpopular doesn’t make Jews or Israel “extreme”. Jews seeking to buy and live in apartments like anyone else is neither illegal nor extreme. 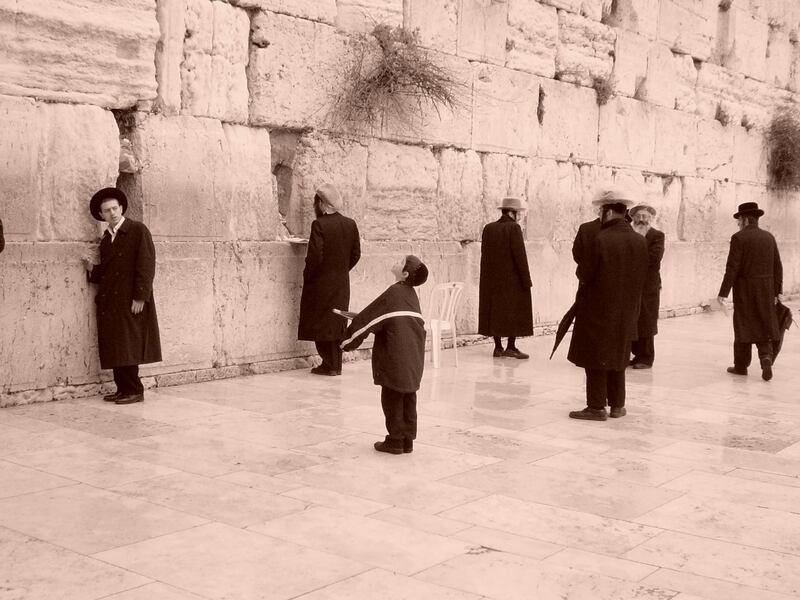 Jews seeking to pray at their holy sites is not extreme. It is exactly the opposite: those people that seek to murder Jews for doing basic activities should be labeled “extremists”. Pinning terminology that make the Jews look like unpopular invaders and therefore extreme, ignores history, decency and honesty. Shame on the New York Times. If these were blacks in the 1960s moving into predominantly white neighborhoods in the US, the Times would more likely call these people “courageous”. The video below gives a long review of Israel’s policies and compares them to the policies of not just the surrounding Arab countries, but to democracies around the world. The comparison does not just act as a rebuttal and defense to the charge, but highlights laws that many countries have against Muslims which do not exist in Israel. But that video is really meant for western viewers who might think they come from non-racist countries and who thereby feel empowered to rebuke Israel. For Abbas to make the charge of racism against Israel can either be viewed as laughable, or as an insightful criticism as it comes from an expert. Abbas’s charge of racism spans the entirety of Israeli society: the State is racist; the “occupation” is racist; the settlers are racist; the military is racist; Israeli politics and media are racist; and the culture is racist. How does the Palestinian Authority do in these categories? State is racist: Palestinian Authority has a law that condemns any Arab that sells land to a Jew to death. Universities bar entry to Jews. Gaza forbids UNRWA schools from teaching about the Holocaust. The occupation is racist: Abbas has demanded a new country free of Jews. Military is racist: Hamas charter calls for the killing of all Jews and the destruction of the Jewish State. Hamas states that the essence of the conflict is that Israel is Jewish and that Islam must destroy it. For its part, the entire Palestinian Authority regularly applauds murderers of Jewish civilians and names tournaments and squares after them. 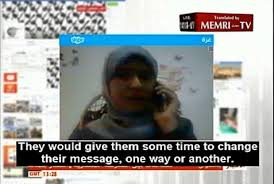 Media is racist: The list is too long to review, but turn to MEMRI.org or PalWatch.org to see the vile anti-Semitic rants that Palestinians post on their televisions on a regular basis. Culture is racist: Palestinians are the most anti-Semitic group on the planet, with 93% holding anti-Semitic views according to a poll in May 2014. Holocaust Denial: Abbas spent several years and completed his phd on Holocaust denial. The denial of the Holocaust is considered illegal in: Austria; Belgium; Bosnia and Herzegovina; Czech Republic; France; Germany; Hungary; Israel; Liechtenstein; Lithuania; Luxembourg; Netherlands; Poland; Portugal; Romania; Spain; and Switzerland. He has continued to belittle the Holocaust with calling Israel “genocidal”, including in the UN speech in 2014. On the holiday of Sukkot, Jews are reminded of the fragile nature of life. They live in temporary huts for a week and read Ecclesiastes, a philosophical book from the Old Testament. The book reviews the concept of a delicate life, and underscores the need to extend beyond one’s physical boundaries: to establish a good name that survives past death; and to learn about God who is not confined to the physical world. We do not know what will happen in life. We do not know which piece of bread will catch a fish, what kind of fish it will be, or whether it will be worthwhile to eat. As such, one could conclude that we should use our best efforts to put several pieces out there in the right environment and hope that a “favorable wind” will yield an amazing catch. With that idea in mind, “First One Through” began. The Arab and Muslim countries read the posts as well, including: Turkey; UAE; Malaysia; Indonesia; Pakistan; Egypt; Saudi Arabia; Morocco and Lebanon. There were a handful of readers from: Kuwait; Iraq; Tunisia; West Bank; Jordan; Qatar; and Yemen. Ecclesiastes does not end with the discussion on uncertainty in chapter 11. The book concludes that anything in the physical word – even spreading knowledge – is subject to uncertainties and frailties due to the physical limits of people. However, reason and intent are the “hidden thing” behind “every work“. Hopefully sharing the posts on the merits of Israel and Judaism covers the good intent of the sender, and enables the recipient to gain knowledge, and have the good judgment to pass it along as well. Many books and studies have been written analyzing Nazi Germany during the 1930s and 1940s, including the famous “Hitler’s Willing Executioners” by Daniel Goldhagen. The premise of the book revolved around the question of how Hitler – a single madman – could possibly kill millions of people. The book advanced a theory that, putting it simplistically, a single extreme individual or idea could stop being viewed as extreme if many others harbored similar thoughts. Millions of people could be actively annihilated if an entire society believed in the extreme notion that Jews, gays, gypsies and other “undesirables” should be killed. Such a society was capable – and did – murder millions. It was not a lone extremist with a gun, but a country with an army. The dynamics of the Palestinians in 2014 runs parallel to the Germans in the 1930s in many respects. Position of Germany: The Nazi platform in 1920 made clear its intent of stripping Jews of citizenship. It allowed Jews to live in the country as “aliens”, but forbade any new Jews from moving to the country. Position of Palestinians: The Hamas party made clear its position of Jews in its 1988 charter, calling for their murder and destruction of the Jewish State. 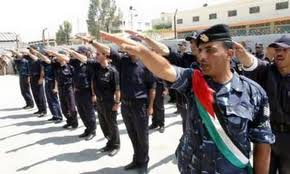 The more “moderate” Fatah leadership of the Palestinian Authority has called for a new country to be void of any Jews. The PA has established laws that call for the death penalty for any Arab that sells land to a Jew. The major Palestinian university bans Israeli Jews entry onto its campus. Majority support: The Nazi party won 44% of the votes in 1933. Hamas won 58% of the seats in Parliament in 2006 with their radical platform. Last election. The Nazis suspended elections after the 1933 vote. The Palestinians have held neither presidential elections nor parliamentary elections since their 2006 election. Popularity of Nazis: There are no polls to show how the Nazis would have fared if additional elections were held. Perhaps the Nazis feared that they could have lost an election and therefore did not allow one. Popularity of Hamas: There are dozens of polls that show Hamas would win the presidential elections and the parliament with over 50% of the vote, no matter what year the poll was taken. The current acting PA President Mahmoud Abbas (of the Fatah party) and the world knows this, so has suspended any new elections which would clearly show the desires of the Palestinian Arabs for war. As seen above, the Hamas positions are more extreme than the Nazis at the time of the respective elections. 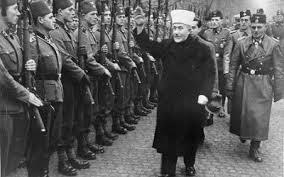 The Palestinians voted much more overwhelmingly for Hamas than the Germans did for the Nazis. 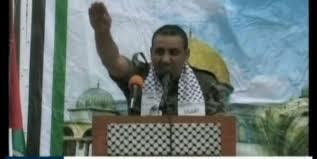 Palestinian anti-Semitism in 2014 is more extreme and mainstream than the Germans in the 1930s. As further evidence, in May 2014, the Anti Defamation League conducted a global poll of anti-Semitism. By a substantial margin, the Palestinians held the most anti-Semitic views in the world, with almost every single Palestinian Arab (93%) in the West Bank and Gaza holding anti-Semitic views. In comparison, 26% of countries outside of the Middle East and North Africa (MENA) region held anti-Semitic views. Germany rose to power in the 1930s and the world did not hold the Nazi aspirations in check. As such, Nazi Germany went on to execute its plans killing millions of civilians until the world reacted. Perhaps the world only stepped in, because Germany crossed into their backyards. Today, the Palestinians do not have significant fire power and have therefore only been able to kill hundreds, not millions of Jews. Will the world encourage and embrace such a nation and leadership on the world stage? Will the world enable Iran or other allies of the Palestinians to obtain nuclear weapons? Does the world believe that “Never Again” only means in Europe? The New York Times deliberately misrepresented opinion as law to disparage Israel, and omitted actual Palestinian laws to hide Arab racism. As such, the paper fully embraced anti-Semitism and the principle of segregation if it prohibits Jews from living in predominantly Arab neighborhoods. Silwan was established by Yemenite Jews in 1881. 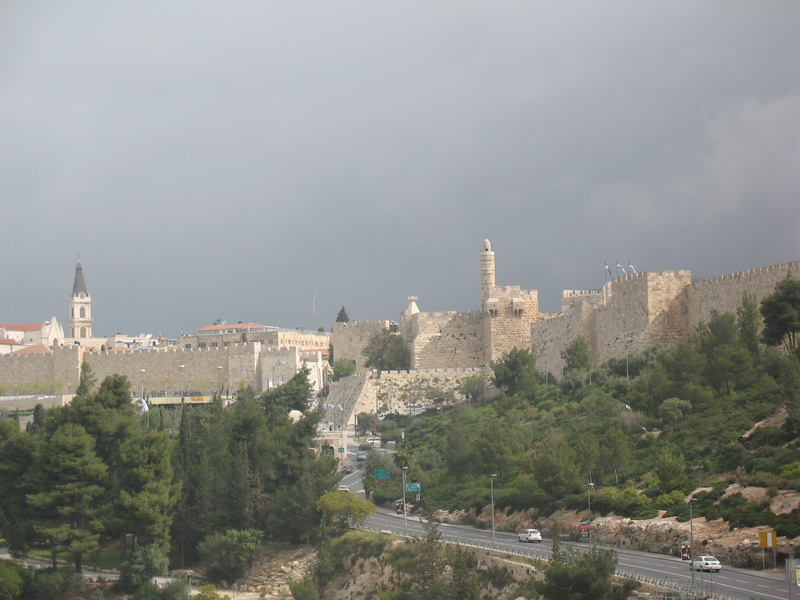 It was one of the first developments outside the city walls of Jerusalem, while the area was part of the Ottoman Empire. 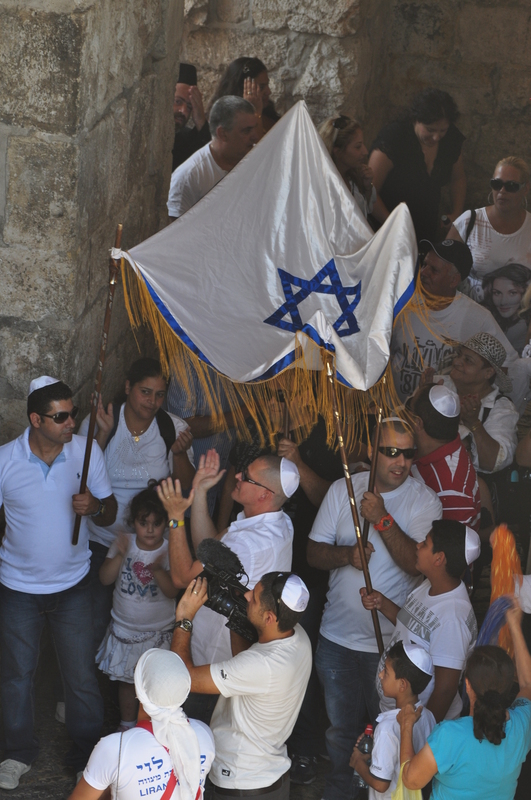 Jews have been an established majority in Jerusalem since the 1860s. The Ottomans did not impose any limits on where Jews could live. When Britain took over Palestine as part of the League of Nations Palestine Mandate in 1922, the mandate specifically stated (Article 15) that no one should be barred from living in the area because of their religion. The Palestinians rioted in 1936-9, killing hundreds of Jews, and effectively lobbied the British to limit Jewish immigration to Palestine. But even under those new anti-Jewish rules, there was no prohibition of Jews living in the eastern part of Jerusalem. Jerusalem and Bethlehem were designated to be an international “Holy Basin” according to the 1947 United Nations Partition Plan, and was to be neither part of Israel or Palestine. Both Arab and Jew were free to live anywhere in the Basin. Silwan, and much of the eastern half of Jerusalem was forcibly cleansed of Jews when the Palestinians and Jordanians initiated a war against the Jewish State in 1948, and the Jordanians illegally annexed the eastern half of the city. The Jordanians and Palestinians barred any Jews from even visiting the eastern half of the city. The Jordanians granted Palestinian Arabs citizenship and denied giving any citizenship to Jews in the lands they forcibly conquered (including eastern Jerusalem), making it illegal for Jews to own land there. The Jordanians and Palestinians launched another attack on Israel in 1967, only to lose the eastern half of Jerusalem in that war. The suggestion that Israel’s annexation (as a result of a defensive war) is considered illegal by “most of the world” and therefore means that Jews are forbidden to live there is completely misleading and untrue. The Israeli territory of Judea and Samaria (West Bank) is administered by Israel. Israel approves housing for both Arabs and Jews there, and in the eastern part of Jerusalem which they annexed. International law against the forcible transfer of a population has nothing to do with individual rights of buying and living in a property of their own choosing. The NYT article successfully: 1) described Jews the way Hitler did; 2) gave no background of the long and legal history of the Jews living in the eastern part of Jerusalem; 3) implied illegal activity of Jews buying and moving into their homes when such action is legal. What the Times article deliberately failed to describe was the actual illegal activity – according to the Palestinian Authority – for any Arab to sell land to a Jew. First, note how the article called Jews “settlers” and Arabs are called “residents”. Both parties are residents and neighbors in the same block. Is the New York Times so against coexistence that each party needs a distinct label? Second, the article correctly points out that the Palestinian Authority has no jurisdiction in the area, but it describes the actions of “residents and activists” of “vigilante justice” making the actions appear random, unauthorized and opposed by the “moderate” Palestinian Authority. The fact is that property sales are considered a capital offense and Palestinian courts have handed out death sentences for the sale of land to Jews. The New York Times’ illusion of Jews taking property by force in the dark of the night is outrageous. The secretive nature of the purchase was to protect the Arabs that sold the property from being killed by fellow Arabs according to Palestinian law. The purchase of apartments by individual Jews in their holiest and capital city in a neighborhood founded by Jews is completely legal. The fact that they had to act discretely in their purchases because of racist Palestinian laws is a travesty that should anger the world – about Palestinians, not the Israelis. Sweden and the United Kingdom took steps to recognize a Palestinian State in October 2014. The assumed reason stated by pundits was to pressure Israel to move forward with peace talks. The only issue is that facts and reason do not support pressuring Israel. That means that the Palestinians are much more against a two state solution than the Israelis (who favor it by almost a 2-to-1 margin). What about using negotiations versus force? So the Palestinians clearly prefer the use of force while the Israelis prefer negotiations. 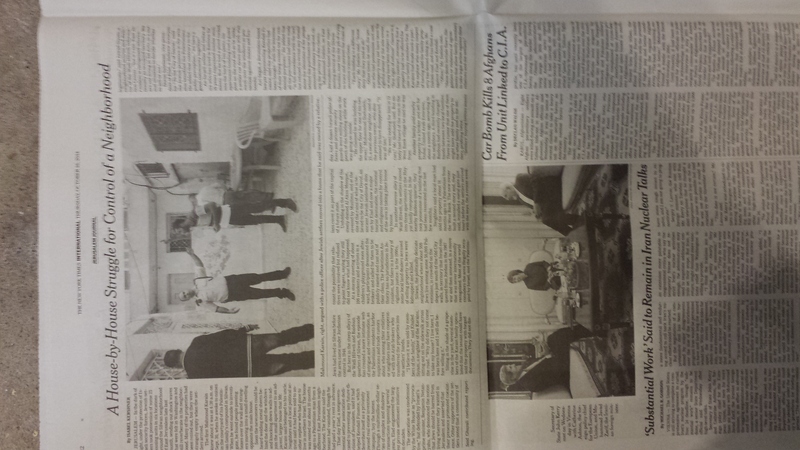 So who actually needs pressure to advance in peace talks, Israelis or Palestinians? On October 13 2014, the UN Secretary General parroted Palestinian propaganda perfectly with “provocations”. Using the term “provocation” does many things: it puts all of the blame completely on the person doing the provocation, and it implies that everything would be peaceful if the initiating party were not being belligerent. The Palestinians deliberately voted for war when they elected Hamas to 58% of the government in 2006. They have made their preference for war and Hamas clear in poll after poll since that time, the latest being August 2014 which showed Hamas winning 61% of the vote. Just because the world prevents new Palestinian elections from occurring and leaves a straw-man in Abbas to act as president for six years after his term ran out, does not change that fundamental reality. The Palestinian war is eight years running with Israel responding three times (Cast Lead; Pillar of Defense; Protective Edge). UN Secretary Ban Ki-Moon described the Israeli “provocation” of Jews moving into homes in the eastern part of Jerusalem. As detailed in the FirstOneThrough article below, the idea that there should be Jew-free zones is: blatantly anti-Semitic; was only instituted by the Palestinians and Jordanians from 1949-1967; and is against international law (including from the prior incarnation of the UN itself, the League of Nations), in the Palestine Mandate which forbade barring anyone from living in Palestine solely due to their religion. The town of Sayreville, New Jersey is in mourning. The superintendent of the town shut the high school’s football program for the rest of the year due to reports of sexual assaults made by upper classmen of the football team against the junior classmen. According to initial reports, the incidents have been commonplace for many years. The investigation into the hazing is in early stages, but it is fair to conclude that many people that did not participate in the crime will be impacted by the cancellation of the team’s football season. Impacted parties will range from team players, coaches and cheerleaders to business people that rely on the games to generate traffic into their stores. Debates over collective guilt and collective punishment are not new. In many instances, the guilty parties do not squarely overlap with those impacted by the punishment. Oftentimes –as made clear by the Sayreville superintendent- the punishment serves to protect the assaulted parties in an absolute fashion while penalizing the broader collective in a relatively minor fashion. This sounds too crazy to remotely resemble reality. If it were true, people would conclude that the entire team, coaching staff, school and town were all equally culpable for the terrible deeds done to the teenagers. The state and country would demand more than just cancelling the season, but a dismantling of the entire institution. The town would be blacklisted by every organization in the country and effectively shut down, as the collective guilt would be seen as wide and deep. The insane list above does not relate to Sayreville, NJ; but they are the actions taken by Palestinians and their elected leadership. What was the “punishment” that Israel enforced against the rabid anti-Semites that sought to kill its citizens and wipe out the country? Israel enforced a blockade of Gaza in 2007 after Hamas took control of the area. Yet it continued to allow electricity, food and supplies into Gaza despite the repeated Hamas statements that it sought to destroy Israel. The goal of the blockade was not a punishment, but a means to stop the flow of arms into Gaza which would be used to attack Israel. What was the world reaction to a relatively light blockade of Gaza compared to the deliberate killing of Jews and destruction of Israel? A rebuke at the nature of the collective punishment on all of the people in Gaza. Consider the Sayreville, NJ case again. Imagine the football team, school and community participated in all of those theoretical actions. How broad and severe would the punishment be? Each of those actions are not theoretical, but the reality of Palestinians in their approach towards Jews and Israel. Sometimes collective action against the heinous acts of the majority is not enough. The world should not only support the blockade of Gaza; it should enforce the dismantling of Hamas in its entirety. On May 1, 2014, Freedom House, a leading advocacy group on democracy and political freedom, released its annual report on freedom of the press around the world. “Global press freedom has fallen to its lowest level in over a decade” according to their report, led by declines in: Egypt; Libya; Jordan; Syria and Turkey. A notable exception was Israel, which became the only country in the entire MENA (Middle East and North Africa) to be ranked as having a free press. The New York Times declined to cover the story in May. 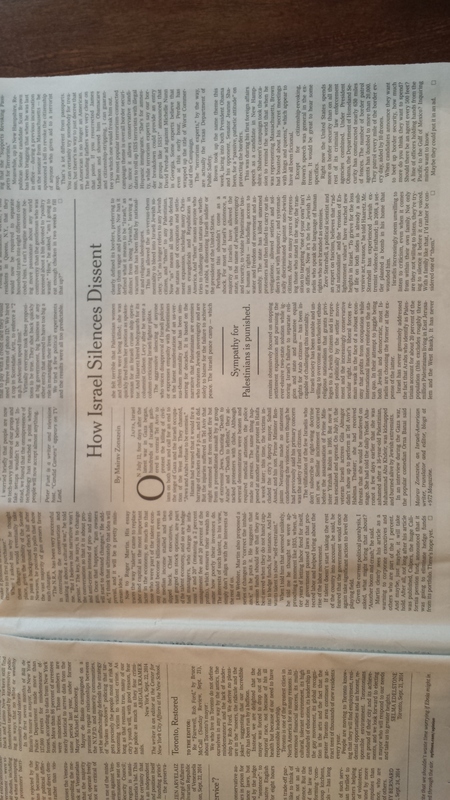 However, on September 26, 2014 it ran an op-ed called “How Israel Silences Dissent”. The editorial said that the Israeli government punishes journalists that show sympathy for the Palestinians. 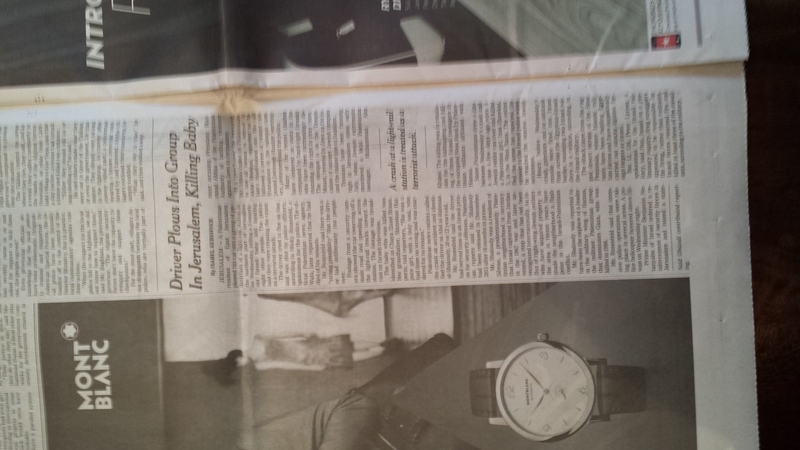 There was no mention of the Freedom House ranking at that time either. The New York Times did not report on any of this. The only time the NYT opted to quote the FPA during the 2014 Palestinian war against Israel was early in the conflict on July 23 when the FPA complained about Israeli intimidation. Is the FPA only worth quoting when they complain about Israel? Is an opinion piece about possible Israeli intimidation the only op-ed that is worth printing while remaining silent about Hamas death threats? Is the uniqueness of Israel’s record of freedom of the press too hard for the New York Times to believe and therefore to report? “Nonsense” seems to be the New York Times sense of balanced and accurate coverage.